Never greasy, easy to apply, plant ingredients, sweat and water resistant. SKU: Bdy Glde her. Category: Accessories. Tags: Anti Blister, Anti Chafe Stick, Anti Chafing, Body Glide, Moisturizing Balm. 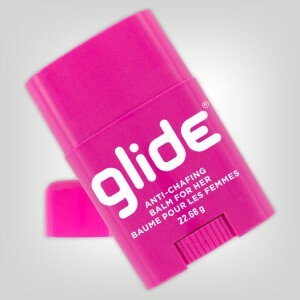 Body Glide for her stops chafing caused by rubbing before it begins!